IBM today unveiled Blockchain World Wire, a near real-time global payments network based on distributed ledger technology (DLT) for regulated financial firms. The blockchain-based network will offer a new way for cross-border payment exchange and international settlement. (The settlements can be done in five to 10 seconds.) The network is currently able to transfer funds to more than 50 countries using 47 digital coins backed by fiat currencies. IBM claims its World Wire is the first blockchain network of its kind to integrate payment messaging and clearing and settlement on a single unified network while allowing participants to dynamically choose from a variety of digital assets for settlement. The first live transaction on the network took place March 8, according to Stanley Yong, CTO of IBM Blockchain for Finance. In 2017, IBM partnered with KlickEx Group, a United Nations-funded, Pacific-region financial services company, to launch its first Stellar-based blockchain financial network. That network was initially able to transfer electronic funds in 12 currencies across Pacific Islands as well as Australia, New Zealand and the U.K.
IBM Blockchain World Wire is basically the same project, an IBM spokesperson acknowledged. "As we evaluated our approach to building out the technology, we realized we wanted to focus on other types of [money transfer organizations] and decided not to move forward with KlickEx," the spokesperson said. Initially, the primary electronic currency used on the blockchain ledger will be stable coin, which is backed one-for-one by U.S. dollars and other national currencies. But network participants will also have the option of using cryptocurrency similar to bitcoin. "Clearing and settlement would be near-real time, so businesses would be able to access funds paid through the system immediately," James Wester, research director for IDC's Worldwide Blockchain Strategies, said via email. The distributed ledger technology on which World Wire is based enables verified participants to transact openly, reducing risks and the costs associated with mitigating fraud, "and would presumably be offered at a competitive rate to be viable," Wester said. 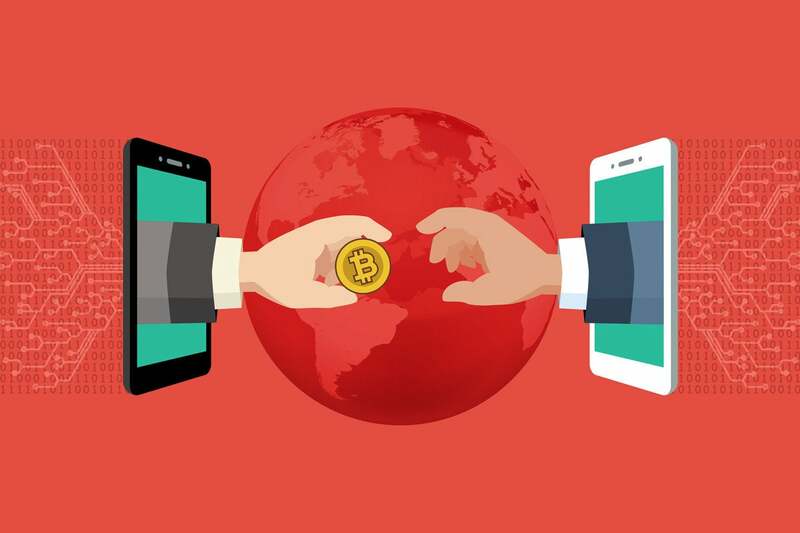 The majority of the transaction volume on the network will be retail remittance related to e-commerce, either foreign workers transmitting money back to their home countries or payments by consumers who've made purchases using electronic networks, such as credit card or PayPal-type online services, according to Yong. Retail remittance networks using IBM's Blockchain World Wire are the equivalent of Moneygram or Western Union. "I'd say the predominant volume of transactions on the network will be those that take place on behalf of end users – people like you and I who are making payments," Yong said. "But you and I won't take part directly in Blockchain World Wire but rather through a remittance entity – what we call a money-transfer operator." The blockchain network will also allow wholesale players such as banks and market makers to perform foreign exchange settlement of batch financial transactions; that offers far higher value, but lower volume traffic compared with retail remittance, Yong said. The advantage for the peer-to-peer (P2P) World Wire network over traditional payment networks such as VisaNet or SWIFT will be the removal of banking intermediaries; money transfers will go directly from one financial services firm to another. By removing central banks from the process, the Blockchain World Wire reduces fees and the time to process the transactions. "So instead of having to go through a correspondent bank and a whole set of multi-hops across different nations in order for settlement to take place, what we do is allow a point-to-point transfer of value immediately, along with the exchange of that financial information, which tells you to whom they're going to deliver the money...," Yong said. "We do expect to see from 10% and 20% savings in operational liquidity management and potentially more than a 50% reduction in overall transaction cost," Yong added. "But that's speculative because of the nascent nature of this network; it could be more or a bit less." At first, the network will enable cross-border payment and settlements based on the Stellar protocol, a decentralized payment network that uses its own cryptocurrency, Stellar Lumens (XLM). While the IBM network will support Lumen cryptocurrency, it will primarily use stable coin such as the U.S. dollar as well as 46 other national currencies. "Today, we support Lumens. As we grow and liquidity grows, we intend to support additional cryptocurrencies – as it's approved by the regulators – that our entities can use to participate in the network," Yong said. Last year, IBM partnered with stable coin network Stronghold to experiment with their cryptocurrency – Stronghold USB – and its Stellar-based trading platform. Stronghold USB is backed by FDIC-insured U.S. dollars that are held in reserves by Nevada-based FinTech company Prime Trust. Other blockchain industry stablecoins include Tether and TrueUSD. IDC's Wester said what's most intriguing about IBM's Blockchain World Wire is its purported ability to perform clearing and settlement of transactions sans U.S. dollars by using a "host of smaller currencies, and thus allow for access to cross-border... money transmitters in developing markets. "It means swapping into and out of U.S. dollars or Euros or some other major currency is no longer necessary, which affects [foreign exchange] fees, settlement times and liquidity," Wester said. "There are a lot of potential moving pieces, but using blockchain to do it removes a lot of those pieces by simply giving everyone access to the ledger." The IBM network is essentially a set of APIs that allows for the simultaneous transfer of financial information that is then tied to a digital asset transfer within a few seconds once an acknowledgement of the transfer is made. The messaging portion runs on the same network, but is asynchronous. Pending regulatory approvals and other reviews, six international banks have signed letters of intent to issue their own stable coins on World Wire, adding Euro, Indonesian Rupiah, Philippine Peso and Brazilian Real stable coins to the network. IBM said it will continue to expand the ecosystem of settlement assets based on client demand. The Rizal Commercial Banking Corporation (RCBC), one of the Philippines' top 10 banks by assets, will be among the first of four using Blockchain World Wire for remittance payments services. "RCBC is pleased to be an early innovator with plans to issue our own Peso stable coin on World Wire, pending final approval from our regulators," Emmanuel Narciso, RCBC's group head for Global Transaction Banking, said in a statement. "We're focused on innovation that adds value for our customers, and World Wire presents a tremendous opportunity to transform and enhance our payment infrastructure." Financial services firms that want to connect into IBM's Blockchain World Wire would be using a set of RESTful APIs to integrate with legacy processing systems, Yong said. "Integration would take from a few days to a few weeks based on the complexity of what they want to do with the system," Yong said. All traffic going across the network is encrypted. IBM is also providing safeguards for encryption keys, which are what represent stable coin and cryptocurrency on a blockchain network, by including online storage on its own servers. "The keys are stored in a way inaccessible to us directly, but it's on hardware and we have backups of the hardware," Yong said. IBM is not the first firm to create a blockchain payments network. In October, J.P. Morgan announced what is arguably one of the largest blockchain payments networks to date. J.P. Morgan created the Interbank Information Network (IIN), which it said will significantly reduce the number of participants needed to respond to compliance and other data-related inquiries that delay payments. The Royal Bank of Canada and Australia and the New Zealand Banking Group Ltd. were the first two banks to join the blockchain network, "representing significant cross-border payment volumes." Then, in February, J.P. Morgan announced its own stable coin – JPM Coin – enabling the instantaneous transfer of payments between institutional accounts. It was the first stable coin announced by a major bank. Even if only used for its wholesale business, JPM Coin amounts to a public endorsement of blockchain and its practical functionality for business, something enterprises have sought from blockchain-based solutions for years, according to Kevin McMahon, executive director of emerging technologies at digital technology consultancy SPR. Regulatory oversight of blockchain-based financial networks is still a bit of a wild west in that most governments have not settled on how to classify cryptocurrencies or guard against fraud, but many developed nations, including the U.S. and the those in the European Union, are increasing "know your customer" (KYC) and anti-money laundering (AML) oversight. But because both J.P. Morgan and IBM's Blockchain World Wire are starting out with registered money transmitters as participants, there should be fewer concerns over running afoul of regulators, Wester said. "Those are organizations that will already be familiar with requirements for KYC and AML," Wester said. "Still, regulatory issues are a bit of a wild card as we begin to see blockchain used not just for money movement but also supply chain or trade finance or identity. Regulation lags technology, so it’s always possible for a regulator to look on something like World Wire and bucket it with cryptocurrency." This story, "IBM launches global blockchain-based payments network" was originally published by Computerworld.